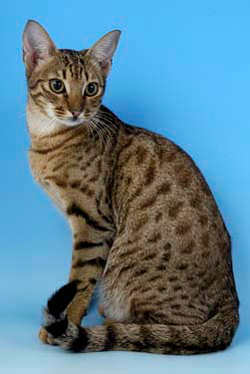 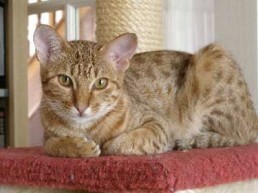 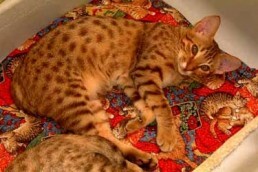 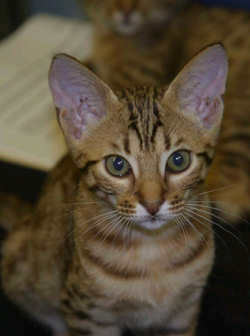 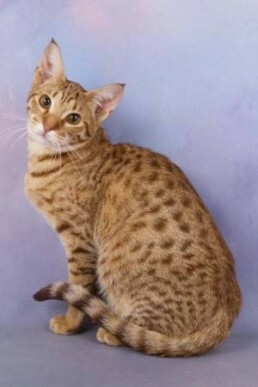 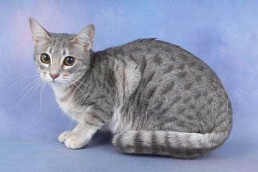 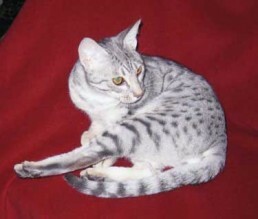 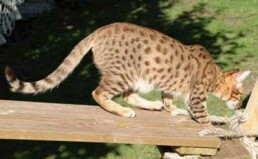 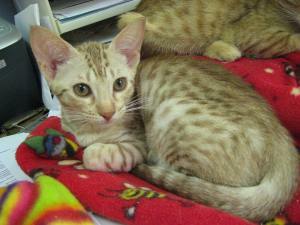 From the 1st of June 2005, Ocicats could be shown with Championship Status with the Governing Council of the Cat Fancy. 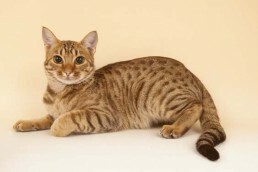 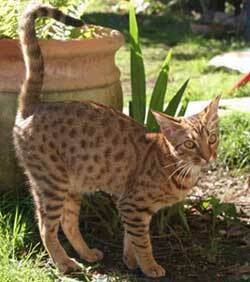 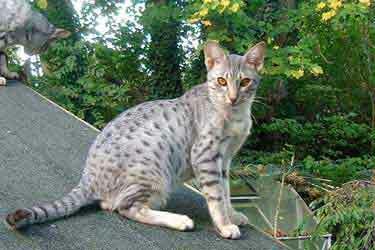 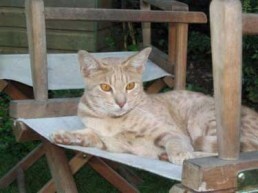 They have had considerable success to date and Thickthorn Ocicats have played their part. 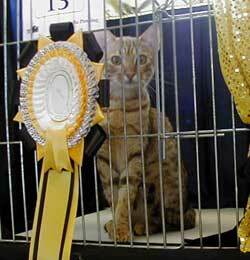 Gained her First Imperial Grand Challenge Certificate at The West of England and South Wales Cat Society Show on 28th August, 2010 in a Class of 9 Grand Champions! Congratulations to Imperial Grand Champion Thickthorn Lotus Blossom (SGC & RW TICA)! Lotus became an Imperial Grand Champion in December 2009 at the Maidstone & Medway, gaining five Certificates in six consecutive Shows. 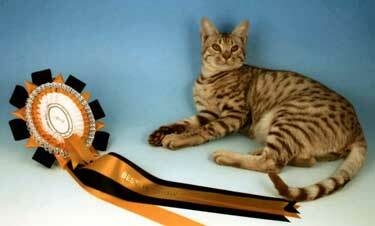 Congratulations to Supreme Grand Champion Thickthorn Lotus Blossom. 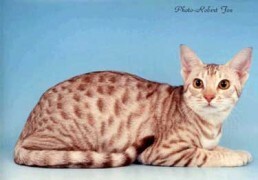 Lotus supremed at the TICA ALLIANCE SHOW at Newbury, Berkshire on July 13th, 2008 when Judge Jeff Roberts made her his Best Allbreed Cat. 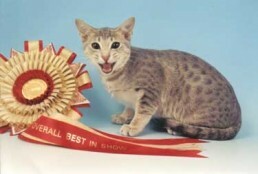 She also finalled in all 12 rings over the two days and was the highest scoring cat (All Breeds) of the Show. 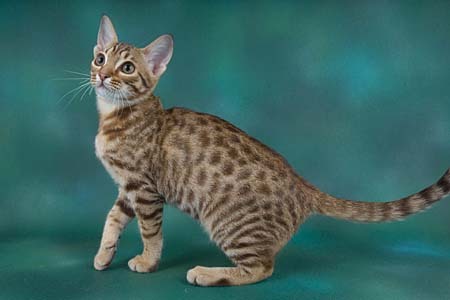 Blue female | Lolli is now a Champion! 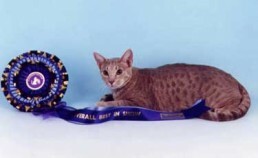 Saffi is now a Grand Champion and is owned by Ron and Barbara Darby. 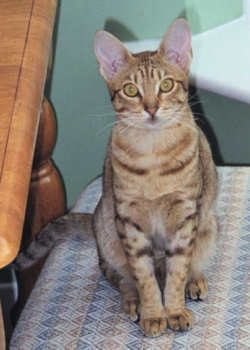 She had a beautiful litter of kittens with Thickthorn Thunderbolt in 2006, and one of these, Silversmoke Lucky Roberts, owned by Susan Robertson, was Best Foreign Kitten at the Scottish on 10th February 2007. Chocolate Kitten owned by Dr Lindsey Wright.